Note2: I would like to clarify that even though I came up with this idea on my own (greatly inspired by the good old wet palette) I do not claim to be the inventor or the first one discovering this method. For the same reason this may not be a finished invention, and it's open to critiques, tips and improvements. Furthermore, I am posting this in the best of spirits with no other intention than than to share the knowledge and help other painters and crafters around the world deal with hot weather. It's really simple, we will be using the low temperatures of ice to condense water particles in the air for our own benefit. Ever noticed how cold beverages “sweat” once out in the open? It's the same principle. Let's science! Optional: don't overfill it with water before freezing, so there is room for palette-like divisions for the paint itself. This will be better explained in the following pictures. 2. 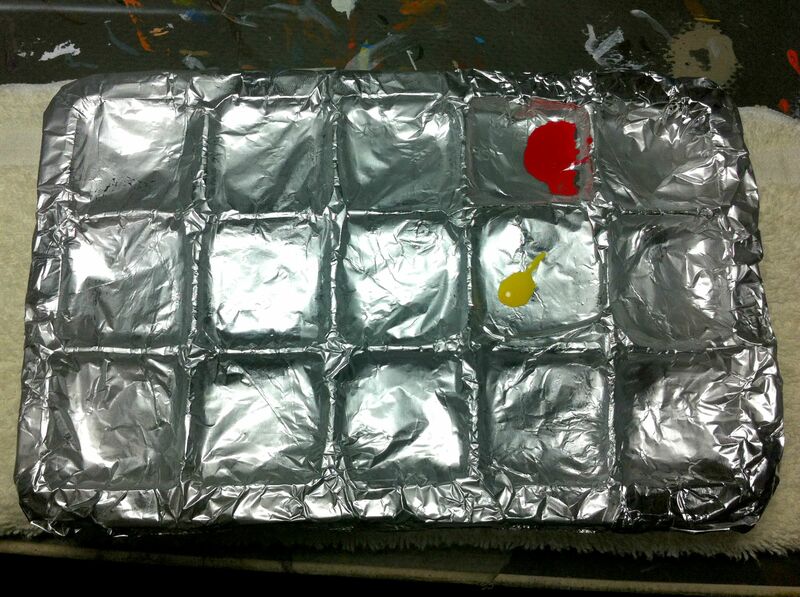 We take a big enough sheet of aluminum foil and wrap the top of the ice tray.We can gently push-in each ice compartment to create divisions between our paints or washes. 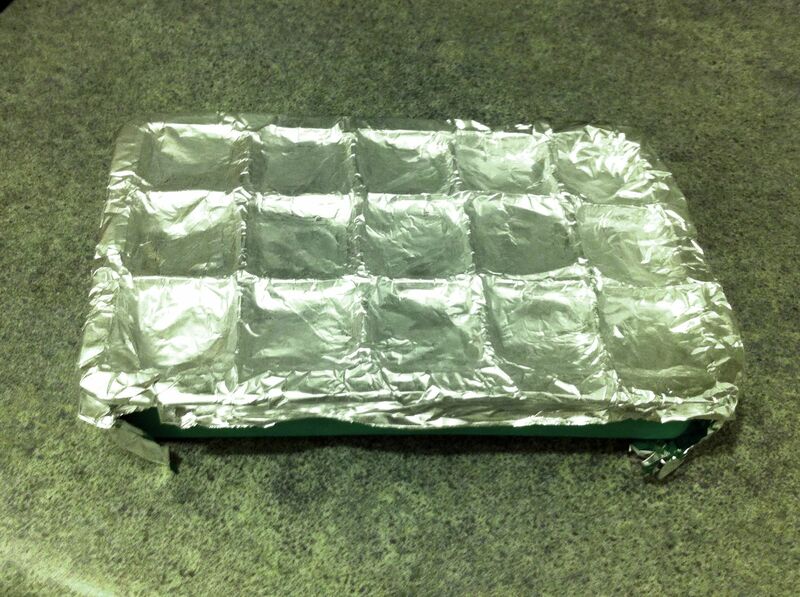 Or we can use the reverse of the tray for a flat palette (in case it's flat). But beware of it thawing! 3.We add a towel under it (for it may drip a bit) and VOILA! 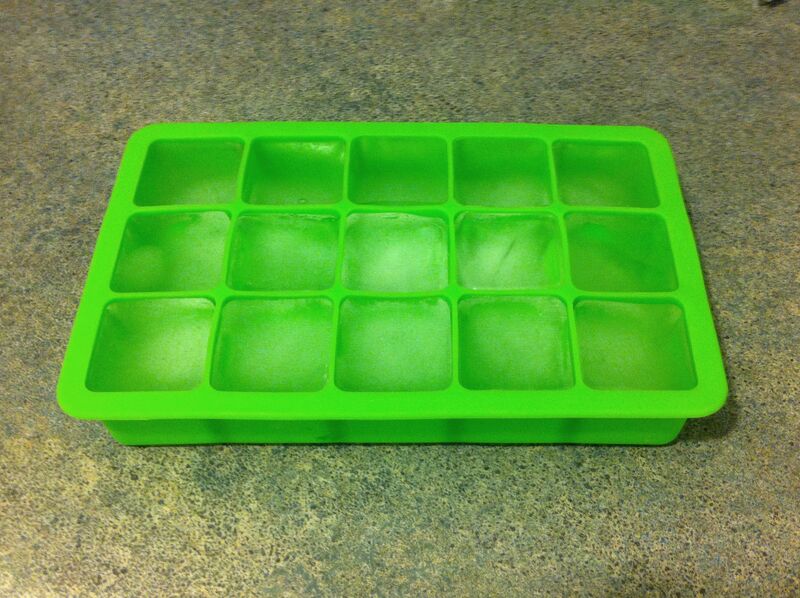 Let there be the Ice Palette. Now the paint should last way longer than before and washes will seem immortal. 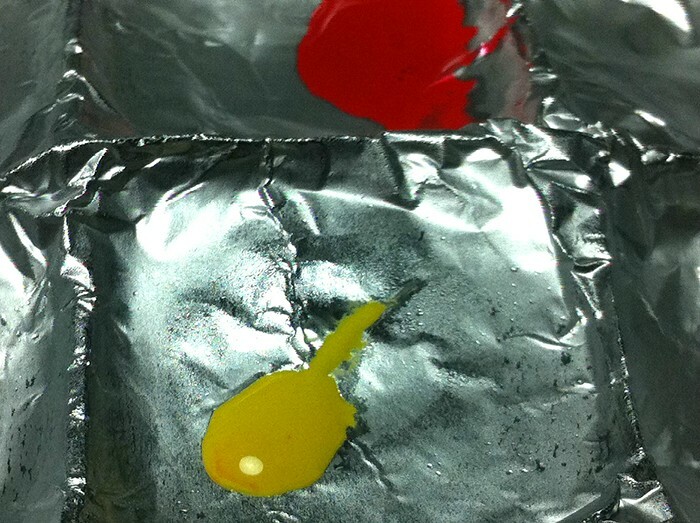 This seemed to be more effective, in my experience, than the common wet palette, especially when the temperature rose above 80 degrees F. (26 C) If used correctly, this palette should not freeze the paint or water, or make paint too wet. It should just keep the pain fresher for longer and make you a happy cheery painter. If the cold seems too strong, though, try adding an extra layer of aluminum foil, plastic or any material you may think of, for insulating. Superb idea, will also be using this for summer in the north of England, all five days of it! Very clever. I'll try it later today. Thanks for posting this. When Cleaverness has not limit ! Congrats and thanks for sharing the idea, will check it next week, it's summer now around here. Thanks for sharing, will have to try it. Doesn’t really ever apply to me as i live in Alaska, but this is pure genius. Hats off to you! Looks pretty cool. Looking forward to checking it out.